The Texas Instruments Foundation presented the Turtle Creek Chorale with a check for $25,000 at Tuesday night’s rehearsal. 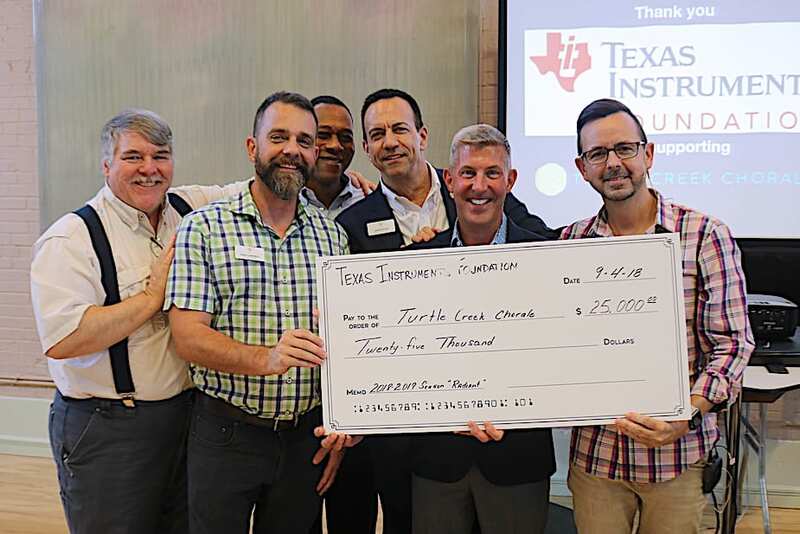 Foundation Executive Director Andy Smith said the Texas Instruments Foundation was proud to support the Turtle Creek Chorale. The arts, he said, are the foundation for a strong community. Baugh called up chorale members who work for Texas Instruments to also be recognized.